The 2-Person Rome City Pass is a cultural touristic card that costs only 10,20 € and is valid 5 days, it offers many discounts on lots of activities in Rome. Thanks to this special ticket you can save money on visits to monuments and museums, but also on restaurants, bike and Segway rental, spas and beauty treatments and much more. 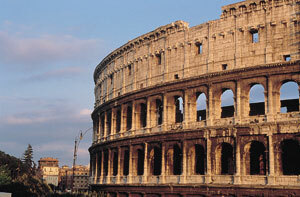 You can buy your 2-Person Rome City Pass online directly with us! Roma Pass is the capital's cultural tourist card that offers discounts and services that makes visiting the museums in the city easier: it will give to all tourists and other visitors the chance to enjoy the sights of Rome. Rome City Pass, with its 20 different museums, monuments and archaeological sites, is the unique card that offers the chance to visit so many initiatives. The Musei Capitolini, the most ancient public museums most ancient in the world, the Museo dell'Ara Pacis, a splendid example of the architecture realized in the second half of the 20th century, the Galleria Comunale di Arte Moderna and the MACRO, two important museums of modern and contemporary art. Roma Pass also offers you discounts on car, bike and Segway rental, to give you the chance to move around the city the way you like best.